interesting insight into Australia’s military history and the role personnel, has been produced by State MP for Heathcote Lee Evans. 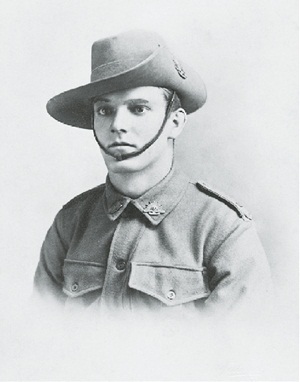 The booklet features soldiers from within the Heathcote Electorate who played in various wars and conflicts. The booklet also carries a handy reference guide to many of the dawn services, commemorations and marches across the Electorate. Anzac Day commemorates the landing of Australian soldiers at Gallipoli on April 25, 1915. “Anzac Day is a time for reflection and a time to show pride in our country’s history,” Mr Evans said. “It is an important day for this nation. It is a chance for us to gather to remember those young men and women who have served and died, in all wars and conflicts, to ensure we enjoy the freedom and safety we do today. Mr Evans said the booklet gave an informative overview of Australia’s involvement in the Gallipoli campaign and that he hoped young Australians, in particular, gained from it in an educational capacity. Mr Evans said large crowds at Anzac Day marches in recent years reflected the continued support and respect all Australians had for those who served their country. “The tradition of Anzac Day grows each year as more people gather at dawn services and local marches,” Mr Evans said. The main article in the booklet features Helensburgh’s Robert Fenwick who is one of the 110 “Lost Diggers of Fromelles” so far identified in a mass burial grave which was discovered in 2008. Fenwick was born in Woonona in 1894.